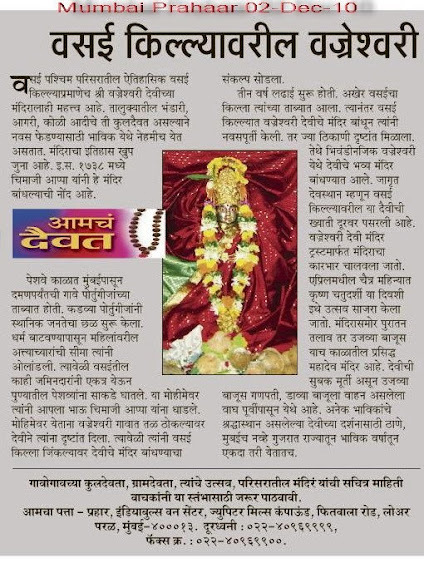 VAJRESHWARI, a small village, about 28 kilometers far from Vasai Road Station and 75 kilometers from Mumbai City, famous for its Yogini Devi Mandir, is situated on the banks of river Tansa, in Thane District. The village name is arrived from the ‘Goddess Vajreshwari’ an avatar or incarnation of the ‘Goddess Parvati - the Aadi Shaki’. The temple of the goddess Vajreshwari was constructed in the year 1739 by the great Maratha warrior Chimaji Appa who is a military commander of the Maratha Empire and younger brother of ‘Bajirao Peshwa 1st’. 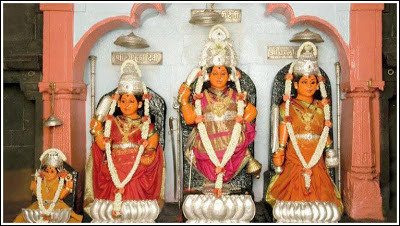 The Goddess Vajreshwari temple’s architecture is based on Vasai Fort. 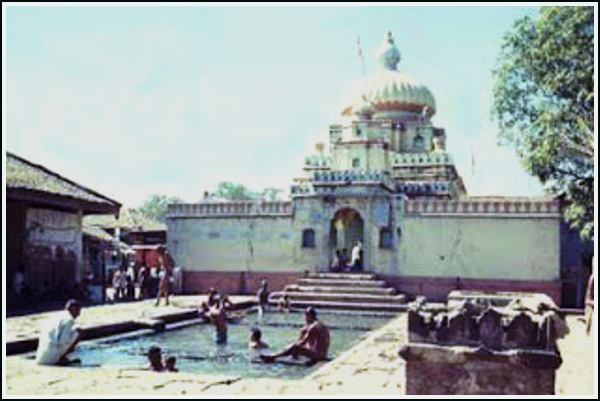 The town Vajreshwari is also famous for its hot springs. The hot springs at Akloli and Ganeshpuri, are well known and some of them are hottest in Asia. They are said to possess medicinal qualities due to the presence of sulphur and other curable element. They are visited by thousands. There are a number of monuments in the township which owe their existence to Rajmata Jijabai and her father Lakhoji Jadhav. The monuments like Kalkar, Rang Mahal, Tomb of Lakhoji Jadhav and his palace, ancient temple of Neelkamleshwar and Rameshwar have a great heritage and architectural value. The Nityanand Ashram, Gurudwar Ashram is few of the popular excursions.